Rare Longhorn with Ram Box, DVD, and navigation! Excellent Ram Laramie Longhorn 4x4 Crew Cab right here - all original, absolutely as show-stopping in person as it is in the photos you see here. Certified safety inspected and 100% good to go, and backed with a Guardian Warranty Service Contract! 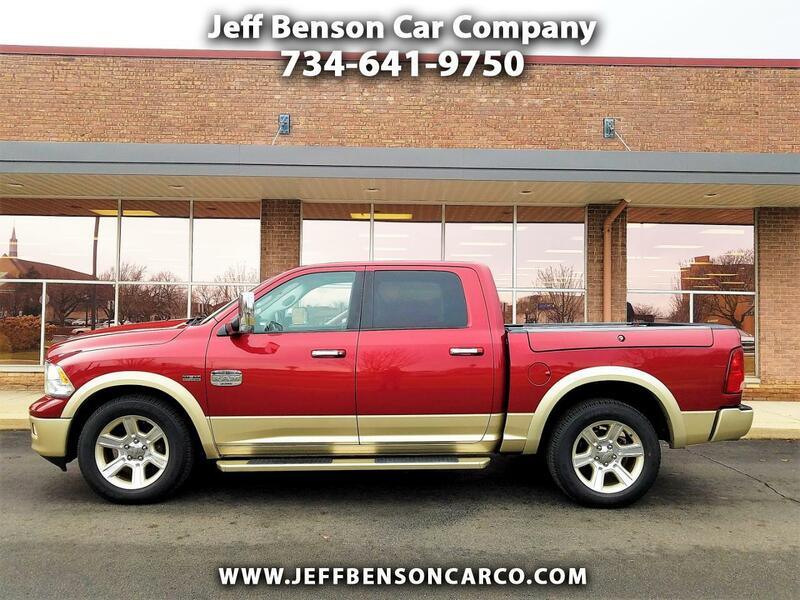 Every option you can think of including heated steering wheel, rear seat entertainment with DVD player, cooled and heated seats, heated rear seats, navigation, power sliding back glass, RAM box, and of course the legendary HEMI 5.7 V8. Possibly the nicest truck we've offered in the 31 years since we started. Round up your own Longhorn here today!